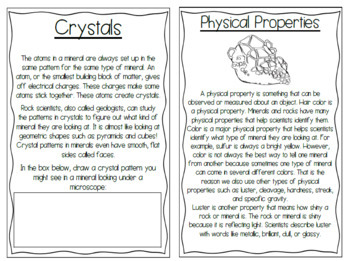 The booklet has different activities the students can do such as coloring, answering reading passage questions, label the rock cycle (igneous, metamorphic, sedimentary), draw a crystal pattern, labeling property of streak, cleavage, and magnetic, matching the term (mineral, physical property, mohs' scale, and streak). Teachers have many options on how to make the book. 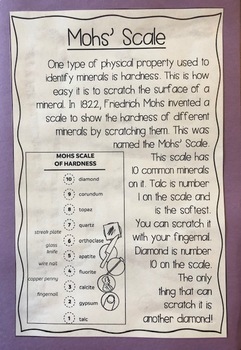 They can have students glue the pages to construction paper and create a book, or there is a mineral foldable booklet option where pages are offset to save on printing (instructions included). I have the students create a rubber band book (instructions included) and place it inside their interactive notebook. 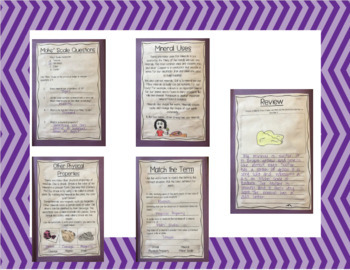 This could also be placed in their interactive notebook using a pocket (instructions included) OR the pages will fit to be glued right inside an interactive notebook. 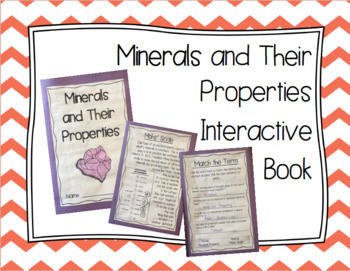 Great for building background knowledge or to review minerals!